Any unauthorized reproduction of CIWL's logos, brand or archive document is forbidden without prior consent. Any direct or indirect use of CIWL's brand, logo or brand image for any commercial use is strictly forbidden without prior written authorization from Wagons-Lits Diffusion. 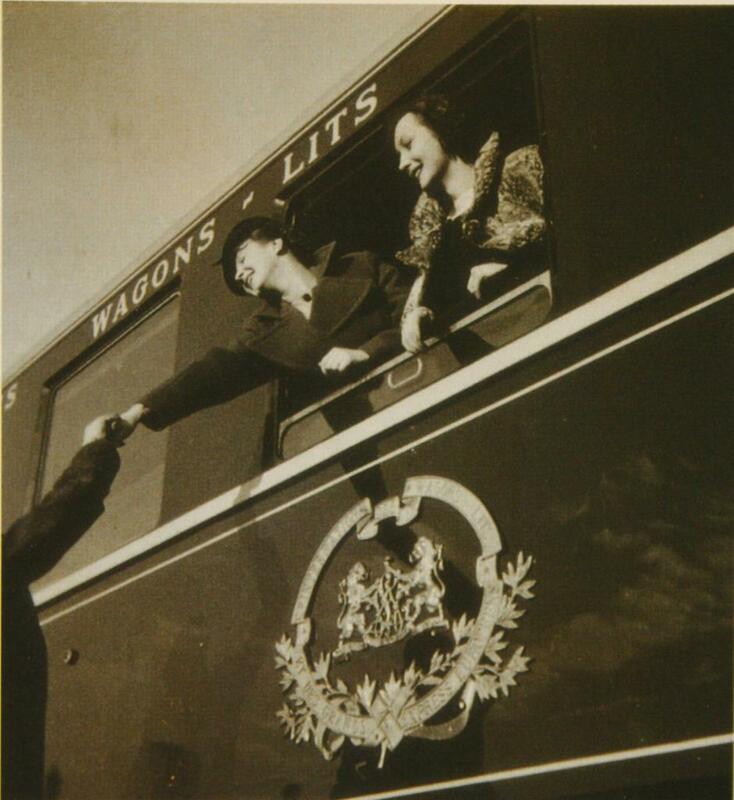 During more than 130 years of existence, Compagnie Internationale des Wagons-Lits (CIWL) became one of the most important tourism and travel multinational throughout Europe and as far as the Far East and Africa. With more than 4000 CIWL coaches, a complete network of hotels, travel agencies and workshops accross Europe, CIWL created an impressive quantity of posters, photos, commercial and administrative documents that are of high interest both for the public as for historians. A good part of these documents are kept in CIWL's archives. These impressive commercial and communication investments done by CIWL since its foundation, have created a real awareness to the brand image among the public, not only in Europe, but as far as the US or Japan. This strong awareness has been reinforced by the numerous movies, novels and cultural programs about CIWL's famous luxury trains. This media phenomenon has always been at the heart of the communication strategy for CIWL luxury trains: Train Bleu, Orient-Express, Nord Express... All these trains were showing proudly the golden wagons-Lits logo, that everybody remembers, consciously or not. In recent years, more books have been written (using CIWL's archive documents) than ever before. The 2 ex CIWL Orient-Express trains still circulating in Europe (Pullman Orient-Express and Venice-Simplon Orient-Express) still bear our logo and Compagnie des Wagons-Lits name on the side of the refurbished cars. This Logo, also called the 'Wagons-Lits monogram' is a synonym of luxury and refinement. --> The monogram and brands are registered all over the world and carefully watched by our IP counsels. Since it was created in 1876, Compagnie des Wagons-Lits rapidly became one of the most important travel & hospitality conglomerates in the world. It was a modern, state-o-the-art, creative and centralized organizations. Its activities spread all over Europe, as far as deep in Asia and Africa. From the end of the XIXe and most of the XXe, CIWL has accumulalted a huge volume of all kinds of historical and communication archives. Wagons-Lits Diffusion spends ressources and energy to make this material available to those who care about this fantastic human adventure, or those who are interested in the luxury brand image associated to CIWL. We now dispose of more than 6000 digital photos, 200 WL posters, 800 PLM posters, luggage tags, plans of rolling wagons or plans of luxury objects and furnitures on-board our trains. All these products or wagons would bear the golden WL logo. Our policy has allowed the publication of more than 100 books and other publications about the history of CIWL and luxury trains, in collaboration with most international publishing companies. You can browse through a selection of our archives visuals in our various Photo Albums. Most visuals are available for licensing or (c) contracts. PLM sa, a company created in the 1850 by the Rotschild family, developed the most extensive railway and hotel company in France throughout the XIXe and XXe century. In order to advertize its services to the public, PLM published more than 800 commercial posters, thus creating a specific artistic 'genre' very characteristic of PLM and of French touristic resorts 'à la belle époque'. a few of these posters are still known worldwide for their special graphic representation. 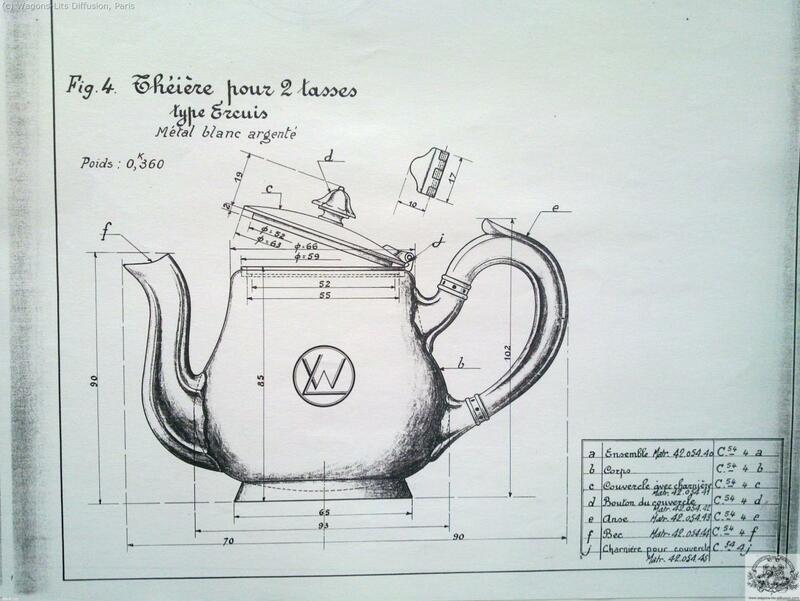 The history of PLM and Cie des Wagons-Lits (CIWL) are closely linked. PLM SA was later absorbed by CIWL, then by ACCOR SA in 1991. Brands and commercial rights are now controlled by Wagons-Lits Diffusion. CIWL has created many connections between European capitals since 1872. For each connections where a regular service of CIWL would be established, CIWL attributed a specific name. For example, ORIENT EXPRESS was the name of the first international train of CIWL connecting Paris to Vienna then Constantinople (now Istanbul). All these names of CIWL luxury trains are still widely known in the public and epitomize confort and luxury, associated with traveling (see the list of LUXURY EXPRESS TRAINS of CIWL). This awareness is the fruit of a constant and intentional communication strategy of CIWL, during more than 100 years, to use all media (journalists, movies, artists and novelists) in order to convey this image and attract more customers on its trains. These mythical trains such as Orient Express, Blue Train, Golden Arrow or many other (see list des GRANDS EXPRESS de la CIWL) have been created and operated by CIWL. But these names have often been registered as trademarks by a wide variety of companies seeking to take advantage of their luxury image. Protection of Intellectual Properties (IP) has always been a serous issue at CIWL. So CIWL decided to concentrate its brand protection on its main logo and full name. The world protection of all train names being too complex and useless in the sense that only CIWL logo and brand (see image above) would appear on CIWL coaches. Wagons-Lits Diffusion and our IP cousels carefully check any unauthorized uses of our brands, logos & archive documents (ie our phototheque and poster collection) in order to avoid infringements. On the other hand, Wagons-Lits brand has been declared 'marque notoire' by French jurisdictions, making protection easier against counterfactors. 1) on-board catering and sleeping services: exclusive rights transfered to NEWREST which still operates modern catering and onboard services on various European rail networks. Venice-Simplon-Orient-Express and Pullman Orient-Express still bear the famous CIWL golden monogram with 2 lions and display the full name Compagnie Internationale des Wagons-Lits et des Grands Express Européens on the sides of all coaches. Neither Venice-Simplon-Orient-Express nor Pullman-Orient-Express can use the brand and logo for other purpose than transporting passengers. In particular, they have no rights to use or sub-licence the CIWL brand and logos for any promotional campaigns or publicity campaigns. These companies have the right to use the Compagnie des Wagons-Lits brand under precise contractual conditions, strictly limited to their specific activities. All other direct or indirect uses of the brand, logos and archive material is the sole competency of Wagons-Lits Diffusion sa, based in Paris, France. The mission of Wagons-Lits Diffusion is to protect these brands and related IP, and to develop commercial activities and licensing contracts. CIWLT and Wagons-Lits Diffusion have constantly used and protected the brands and other signs derived from CIWLT"s past activities. The use of CIWL brands has been done directly (night trains and catering, catalogue sales of CIWL objects) or indirectly through licensing contracts. CIWLT and Wagons-Lits Diffusion have constantly enforced these brands and IP rights in front of French and other international courts, in order to condemn counterfacts or unfair competition. French and other international courts have constantly confirmed our rights. Wagons-Lits brand has been declared 'marque notoire' by French jurisdictions, making protection easier against counterfactors. To be sure, numerous companies have tried to use the reputation and brand awareness attached to our brands, forcing Wagons-Lits Diffusion to sue and claim its rights,and further financial compensation. Respecting authors' rights: since 1876 and during 130 years, Compagnie des Wagons-Lits has commissioned the best artists in order to create its world famous poster collection. These commercial posters were aimed at developping the awareness of the public for Wagons-Lits luxury trains. Wagons-Lits Diffusion works jointly with ADAGP, representing all graphic artists' rights. Wagons-Lits Diffusion thus transfers all authors' rights to ADAGP whenever applicable.